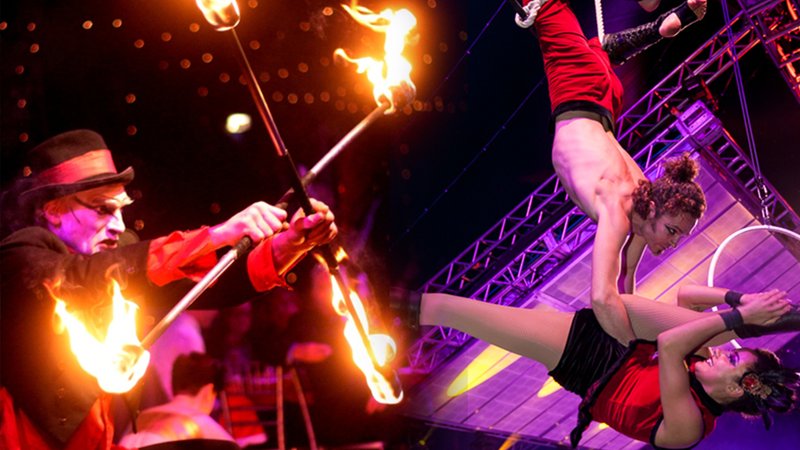 Run away and join us at the Cirque Lumiere – a spectacular extravaganza of circus delights! 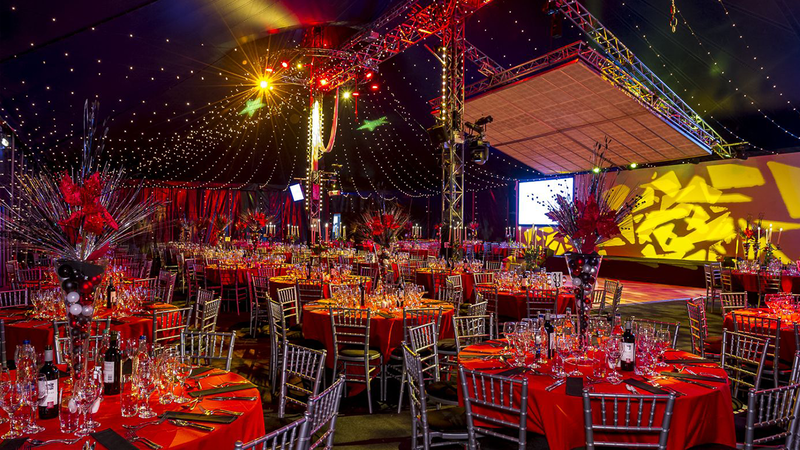 Marvel at the amazing entertainment performing overhead whilst you feast on a delicious dinner, before enjoying all that Cirque Lumiere has to offer – a sparkling reception, amazing acts and a party to remember. Enjoy the most fantastical party in town this Christmas, where we invite you to gaze in amazement at the unusual artists of the circus world. After enjoying a sparkling reception in the VIP reception area finally the moment has arrived, as guests are led through the illuminated walkway to the Big Top. The dazzling lights of the venue shimmer like stars in a midnight sky, as you make your way to your tables, decorated with stunning centerpieces. Above your heads swing dramatic acrobats on hoops and silks, and during your sumptuous dinner, entertainers rotate around the Big Top, showcasing their skills. Exclusive Hire is available for 300 – 1800 people. Please get in touch for more information.